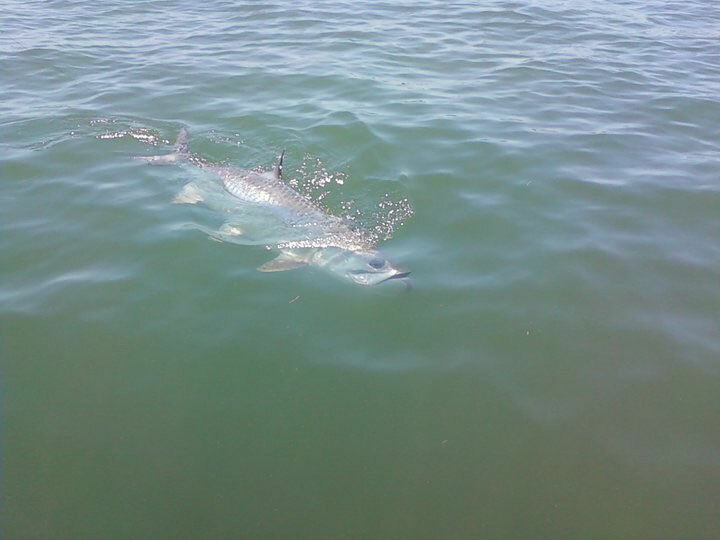 During my annual salt water fishing trip to the Little Gasparilla area April 2012 I was fortunate to be able to fish for Tarpon in the Boca Grande Pass with Capt. Bobby Woodard and some of my long time friends. 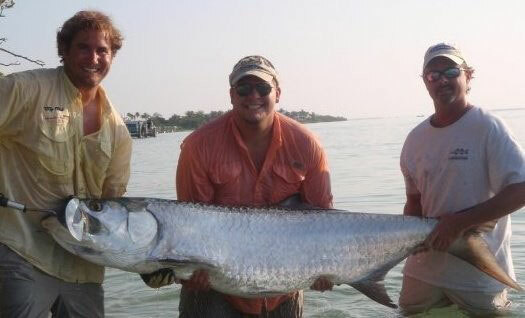 This would be my first time fishing for the Tarpon and one that I will never forget. Under the direction of Capt Woodard and crew it was a matter of minutes when Capt. Woodard had me on the Tarpon and hooked up. As a result of the knowledge, experience and coaching by Capt. 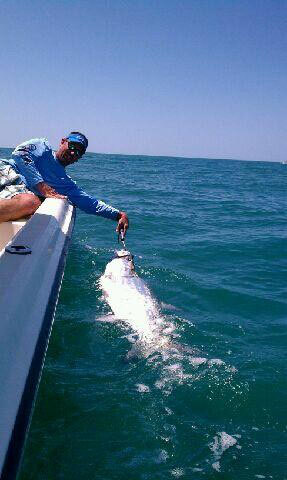 Woodard and crew I was able to bring to the boat a beautiful and powerful 110 pound class Tarpon. I want to commend Capt. Woodard and crew who by all accounts exceeded all expectations and provided me with years of memories of a Tarpon, caught and released, perhaps to be caught and released another day. 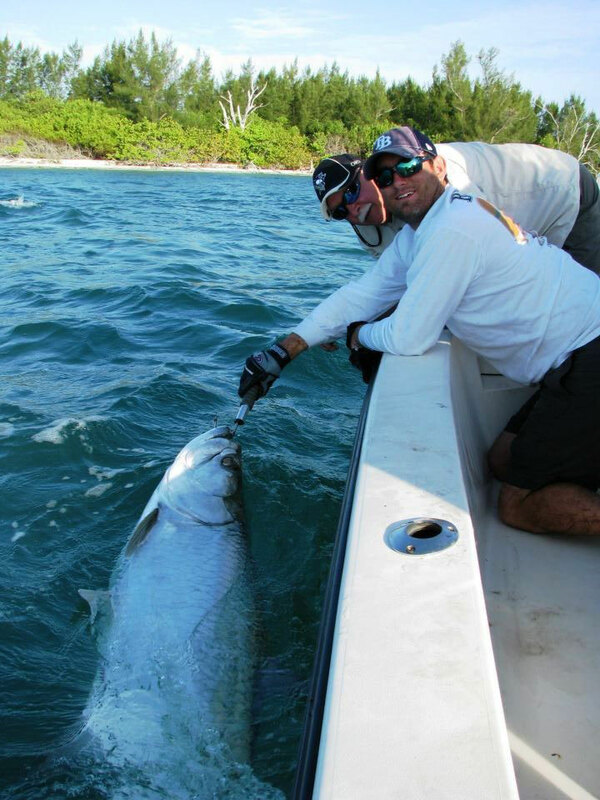 If you are looking for lasting memories of a great Tarpon trip in the Boca Grande Pass area I would highly recommend Capt. Bobby Woodard. Capt. Bobby thank you so much for the most awesome tarpon trip ever! 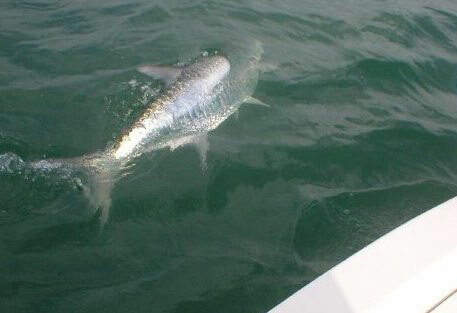 Being my first time going out for tarpon it was far from what I was to expect from such a powerful fish. We boated 5 of 7 hooked in 3 days and it was awesome. Not only did I learn a lot about how to fish for them in the pass and the reason behind taking DNA samples, but the power that these fish have got me hooked to take time away from the flats. Words can't explain the adrenaline rush you get when hooking up or even a bump on the line. There is no explanation that can be given to define the feeling you have when you finish a good fight with a tarpon. I will say that Captain Bobby Woodard makes the moment much more memorable and you will want to come back for more. The trip was perfect. From catching the bait, to keeping you on the big fish, I can truly say he knows the gulf. We were on Tarpon all day, while other boats watched and I can only attribute that to Capt. Bobby's expertise. I cannot wait to go back next year. Thanks for an awesome trip tarpon fishing in Boca Grande and for putting me on my first tarpon. 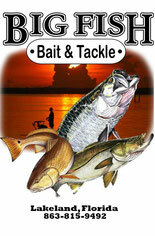 If you are planning a fishing trip in the Boca Grande area I highly recommend hiring Capt. Bobby Woodard. As an avid fisherman I have been in pursuit of the mighty tarpon for years, but had never succeeded in catching one until Capt. Bobby put me in the thick of it in the Pass. I have never seen such a site as fishing Boca Grande Pass on Father's Day 2009, but Capt. Bobby expertly navigated the boat to put us on the fish. Even if I had not caught a big tarpon I still would've had an incredible experience fishing with Capt. Bobby. The sun rising over the boats in the Pass with schools of huge tarpon strewn about combined with the errant hooked fish going nuts like a cracked out acrobat make for a one of a kind experience! I learned a lot about the target species and techniques used in the pursuit thereof. Capt. Bobby will provide you with the proper knowledge and equipment needed to ensure your best odds of going toe to toe with the silver king, don't forget to bow! I have been making a fishing trip every year around the barrier islands for the last ten years over the middle of April. Historically the weather hasn't cooperated to make it warm enough to get the Tarpon to come in. I have even threatened to go back in a month to six weeks later just to wrestle those magnificent sport fish but have never pulled the trigger. Last April was different as the winter had been warmer, the Tarpon were running and I was lucky enough to get hooked up with Capt. Bobby Woodard. That day will live forever in my memory. I could tell immediately that Capt. Woodard and crew knew exactly what they were doing and they gave valuable advise to make it a successful trip. He took three fishermen out and we went three for three landing some big beautiful specimens within a couple of hours. The only reason we didn't catch more was because we were too tired from the fight. It was a rush I have seldom felt and ranks right up there with hunting bear. Thanks to Capt. Woodard and crew for their professional attitudes and making this experience one of my all time memories. If I get another chance Capt. Woodard will be my first call. Scratch another one off the bucket list. If you are looking for a great day of fishing for a variety of species, Captain Bobby Woodard is where it’s at. 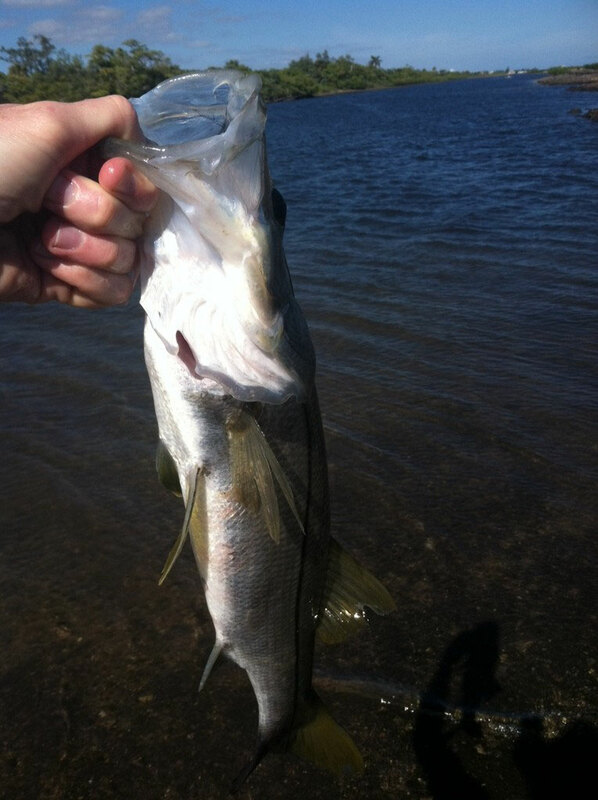 From snook after snook to jacks and snapper, I cannot remember a day I actually caught that many fish. Usually I am lucky to catch anything when I go alone, but this the trip was well worth the price to finally feel the line run. Captain Bobby Woodard knows the intercoastal and gulf water ways better than anyone I have been with and it shows. He takes the time to explain and teach his techniques, so you can take something home with you. I hope my next trip is soon. Just wanted to drop a line and let you know that our trip was the best possible day for a father and two 12 year old sons on the water. 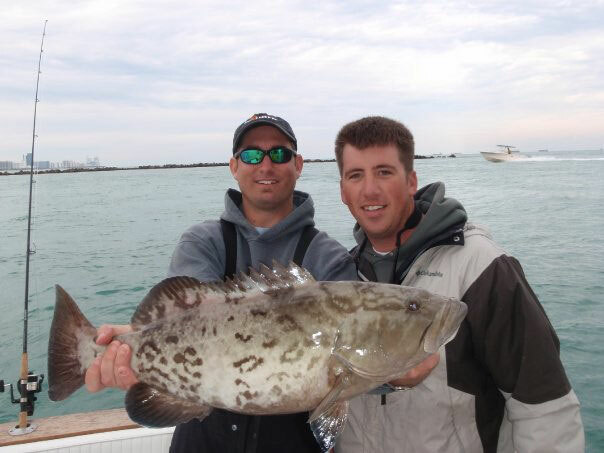 First bait in the water jumping a tarpon, grouper limit in 90 minutes, nonstop action. Just wanted to thank you for your attentiveness to everyone. Kids and I had a blast and can't wait to book another trip. As much as I enjoy the water, a fisherman I am not. So, when my father booked a scalloping trip, I was hesitant. My sister and I weren't very familiar with snorkeling gear, and we definitely didn't know what a scallop looked like. Not ones to back down, we went all in, and were definitely glad we did. Captain Bobby was very tentative and extremely thorough. 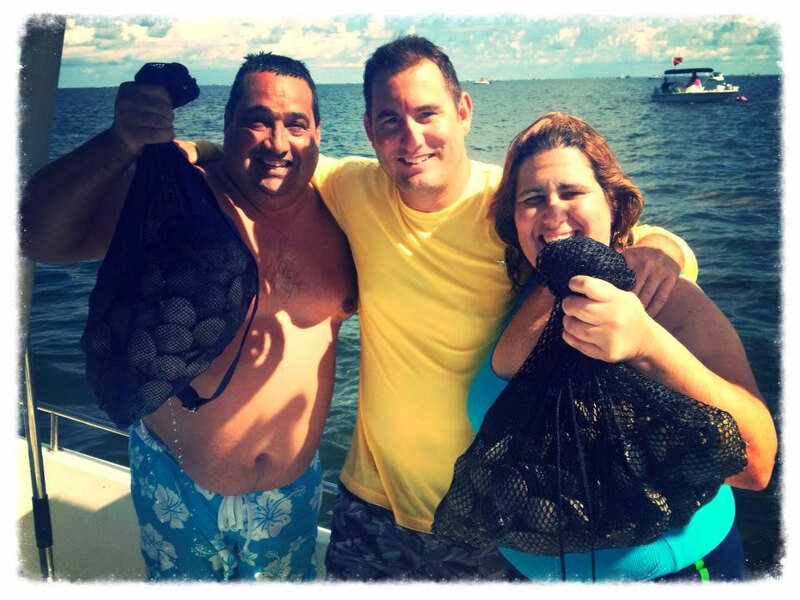 He reviewed boat safety, fitted us with gear and informed us on the most efficient scalloping techniques. It was exciting to see the variety of sea life; even more so when Captain Bobby identified them. 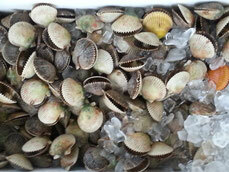 Scarce scallops and a little rain did not deter Captain Bobby. He kept a warm persona, level head and remained courteous and tentative. Thanks to Captain Bobby, we were able to gather enough scallops to fill our limit and an amazing Father-Daughters surf-n-turf dinner, with plenty of scallops left over! All in all, it was a spectacular experience jam packed with memories that will last a lifetime. I´m writing from Venezuela to say thanks for a wonderful day. The scallops experience was unforgettable. In my opinion, is a great way to know this kind of fishing experience. I love fishing, and water world. Thank you again and kisses for Anna.